This so cute and simple! Thanks for sharing! I a *very* new to sewing so I have a question- what does adding the embrodery floss to the quilt do, does it add structural support? What type and brand of batting did you use? 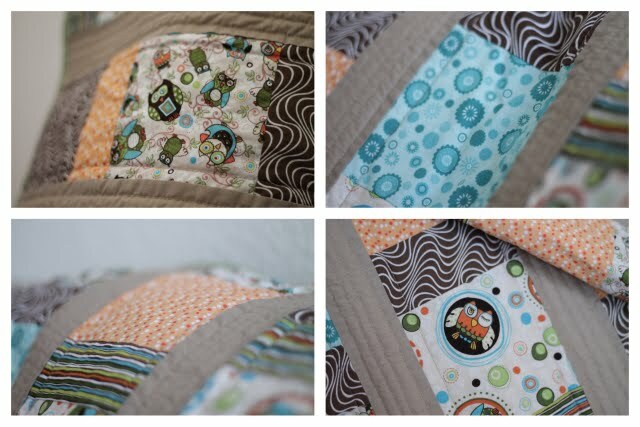 The last baby quilt I made came out a little too stiff for my liking. Warm and natural cotton batting. It's a bit pricy, but I really love the weight, and the fact that it doesn't need to be quilted closely.